Ceramsite is one of the modern and easy-to-use materials for private suburban construction. It is quite simple to build a house out of clay blocks with your own hands. In terms of reliability, it will not yield to the brick one, and the whole construction process will be much cheaper. It's all about the features of the building material. The blocks are made of expanded clay, that is, granules of baked clay and cement-sand mixture. Thanks to the clay filler, artificial stones are made easy and completely safe for humans and the environment. The buildings are dry and breathe well, since it is completely vapor-permeable. A mixture of expanded clay with concrete absorbs moisture almost three times less than foam concrete similar in characteristics. And the heat-insulating ability of building materials directly depends on moisture resistance: the calculated thermal conductivity of such masonry is 1.5 times lower than the brick one of the same thickness, and almost twice as low as foam concrete. In low-rise construction, claydite concrete has been successfully used for more than a decade. In size, one block replaces 7 ordinary bricks, and at the same time weighs 2.5 times less. Therefore, the work is much faster and under the force of even a not very experienced mason. 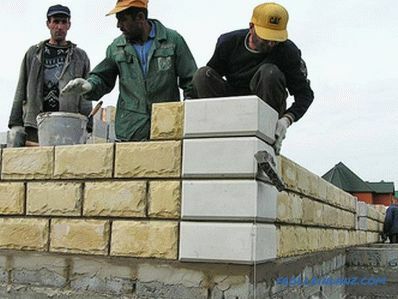 A trained mason can lay about 3 m 3 expanded clay masonry per day. It is three times faster than brick construction. And the consumption of cement mortar is reduced by 60%, which also reduces costs. 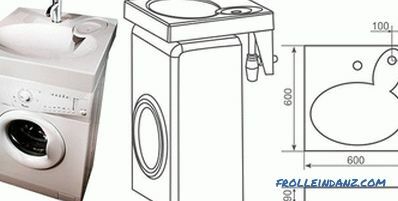 Blocks of 390 * 290 * 188 mm or 390 * 190 * 188 mm are considered to be the most demanded. 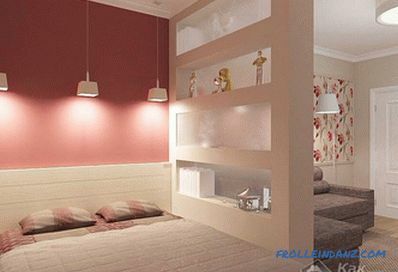 Depending on the installation method, the thickness of the walls can be varied. For the southern areas and the height of the house no more than two floors, 40 cm of wall is enough, provided that the outside will be trimmed with insulation and face stone or plaster. For terrain with cold winters, it is better to choose a width of 80 cm. For non-residential premises or those where heating is not expected, 20 cm with a lining insulation will suffice. In general, the strength of claydite-concrete allows to build five-story buildings, with additional reinforcement of masonry with steel rods. 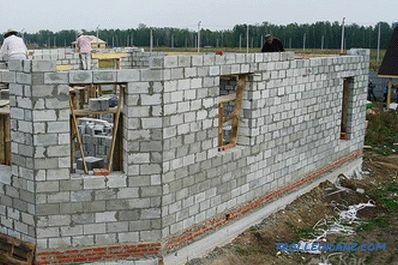 Further calculation will depend on the thickness of the walls, that is, the chosen size of the blocks and the method of laying in one or two rows. Multiply the calculated quadrature by the estimated thickness. This figure is the total volume of the walls. When purchasing, it is necessary to add to the counted number another 10-15% in case of damage of a part of the elements during transportation and unloading. By the way, this material is quite fragile and easily breaks on impact, so you have to take care of the racks for transportation and neat unloading from the car. Ceramsite concrete blocks come in various modifications: corpulent and hollow. For lower floors and where the main loads are expected, it is preferable to take the first type of products, and for the upper parts of buildings and self-supporting partitions - the second. Multi-gap elements can improve the heat-saving properties of the masonry. If the floors are planned to be monolithic or from a factory-made reinforced concrete slab, use solid blocks in the walls. In addition, a 20 cm thick reinforcing belt is required for ready-made slabs, which must be insulated from the outside. 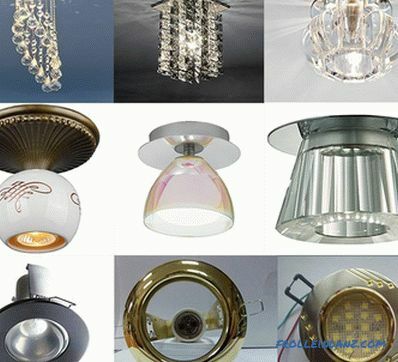 For wooden floors suitable multislot light marks. 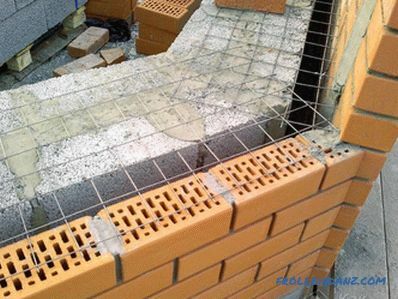 The main requirement for laying both those and other blocks is the mandatory use of reinforcing rods. In high-quality products for this there are special notches. Since a clay block building weighs less than a brick of the same area, you can save a little on the foundation. The best solution would be to put the building without a basement on pile-tapered supports. If a basement is planned, a strip foundation is poured and concrete slabs are placed on it. 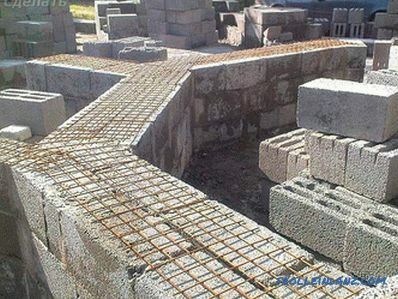 Cement blocks of size 590x290x200 mm with grooves for rebar installation are most suitable for the plinth. The laying of the aerial part starts from the corners. Set the extreme elements on the cement-sand mixture with a layer of 3 cm. Their position is carefully checked. Then a cord is pulled between the corner blocks to align all other stones. To prevent the solution from flowing into the voids, they are covered with a fine-mesh net. 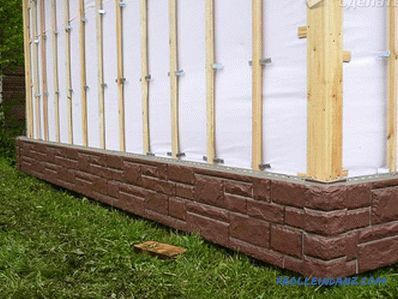 Each row of masonry should be checked for horizontal and vertical building level. Claydite aggregate concrete is fairly easy to handle.When installing door and window openings, as well as where non-standard architectural details are provided, the blocks can be cut with a simple grinder with a diamond disc or a special hacksaw for foam concrete. 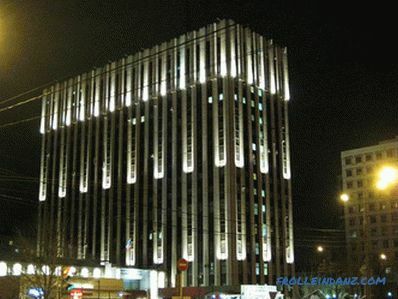 Thermal insulation of a claydite construction on the outside with mineral wool with a foil layer is considered optimal. Glass wool is also suitable, which is shielded from the inside by drywall and from the outside by foam plastic. The claydite-concrete wall does not look very attractive in appearance; therefore, even if external insulation is not provided, it is necessary to think about finishing covering. Moreover, despite the low hygroscopicity, it is not necessary to leave such a wall for more than 2 years without finishing. Under the influence of temperature changes and freezing water, it will begin to crack and collapse. 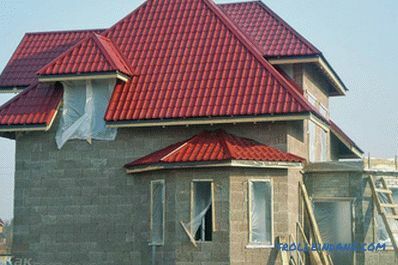 Cement and sand plaster, decorative clinker bricks, natural stone, siding are used for decorative finishing — you can veneer the clay-block house with any of these materials. Due to vapor permeability when assembling facades, it is not even necessary to leave a ventilation gap. Of course, for this, the heat insulator must also be breathable. 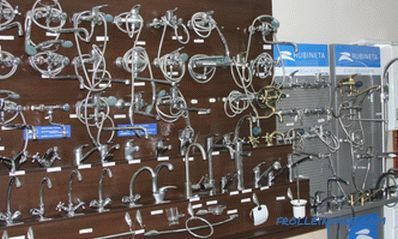 You can use thermopanels consisting of polyurethane foam and a clinker tile. This is a new and economical method of simultaneous insulation with veneer. Thermopanels are light and environmentally friendly, their installation does not require any special tools and the power of an unprofessional worker. Styrofoam keeps the heat in the house during the cold weather and provides coolness in the heat. A competently made and properly finished building of expanded clay blocks can be operated from 50 to 100 years. well scheme with your own hands. We offer to watch the video on the construction of the house of expanded clay blocks.